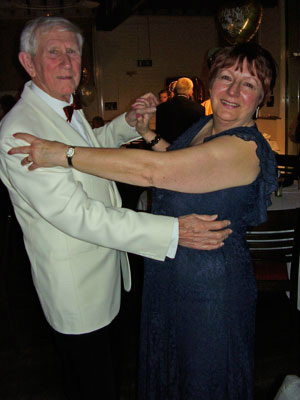 Val and Allan Norris have been ballroom dancing for many years now. When they retired they thought they would like to do something they enjoyed and also be able to give other retired people an afternoon of dancing and socialising in a relaxed friendly environment and enjoy a cup of tea or coffee with some scrumptious cakes. Val has also been to line dancing classes for some years now and teaches some of the easier ones from time to time. They have a wide knowledge of all the dances and a good selection of music to suit all tastes. Why not come and join them.